﻿ Operations | Serafina Energy Ltd.
Our focus is to thermally develop identified, high-return heavy oil projects primarily in Saskatchewan. Future growth opportunities will be developed with our internally-generated free cash flow. Serafina projects have demonstrated low operating costs and industry leading netbacks. 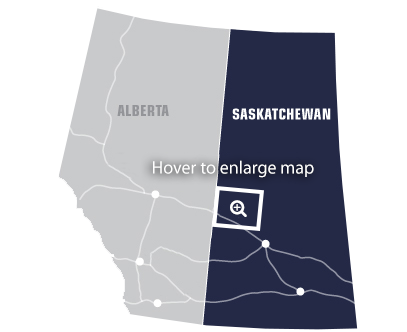 Our projects are conveniently situated in close proximity to both Lloydminster and North Battleford. The heavy oil in this region is of high quality, with up to 22m net pay, 10 – 12 degree API and as such responds well to thermal recovery processes (compared to the more viscous 8 degree API bitumen in the Alberta oil sands). Our facilities use proven SAGD technology to recover remaining reserves from existing heavy oil pools that have come to the end of their primary production ability. Our core areas are proximal to services, pipeline and rail terminals. The Serafina Edam facility achieved production in 2016, and has exceeded nameplate production capacity of 6,000 barrels per day, demonstrating production capability of over 8,000 barrels per day. This facility was recently expanded to a nominal nameplate of 7,500 barrels per day and has achieved production over 9,000 bbl/d following this expansion. 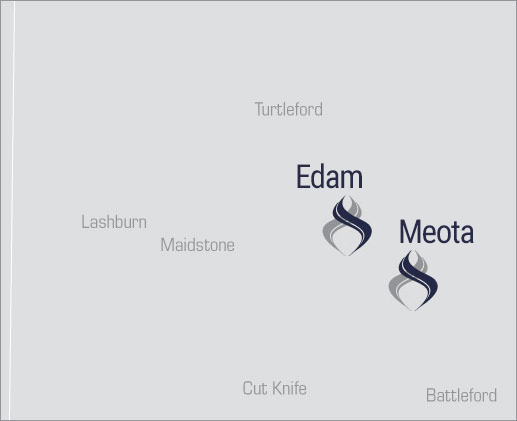 Edam was fabricated using a modular, repeatable facility design, enabling efficient construction. Meota West was our second repeatable facility to be constructed and achieved production in 2018. This facility has a nominal nameplate capacity of 7,500 barrels per day and is currently producing over nameplate capacity. Serafina's development of Meota West demonstrated top tier cost efficiency, construction duration, and production ramp timing. Future projects within our core areas are currently in various stages of development.